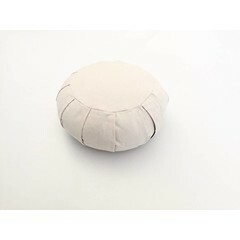 Zafu pleated is a round meditation cushion with pleated sides. The zafu pleated sitting cushion is ideal for Zen meditation. It is also ideal for lotus or half-lotus meditation postures and it is the most usable size of cushion that will support a variety of different postures. It will provide spine support and alignment during yoga, meditation and during pranayama practice. The buckwheat hull fill adjusts to body contours. 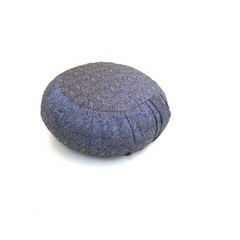 This cushion can also be used as a pillow, or for raising another meditation cushion. So beautiful and comfortable you do not want to put your meditation cushion away.